Among the members of the Company of Thorin Oakenshield, unique, exquisitely crafted pipes are a source of pride and much prized by their owners. 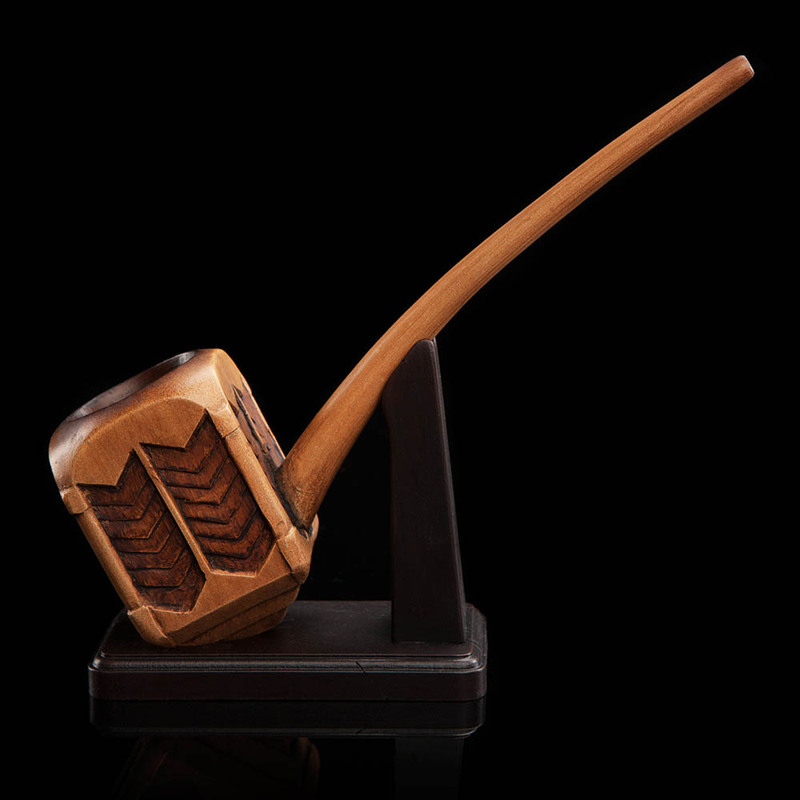 The pipe of Thorin Oakenshield is sturdy and of Dwarven make, carved in a warm-hued timber and only lightly ornamented with a scaled pattern upon the faces of its faceted bowl. 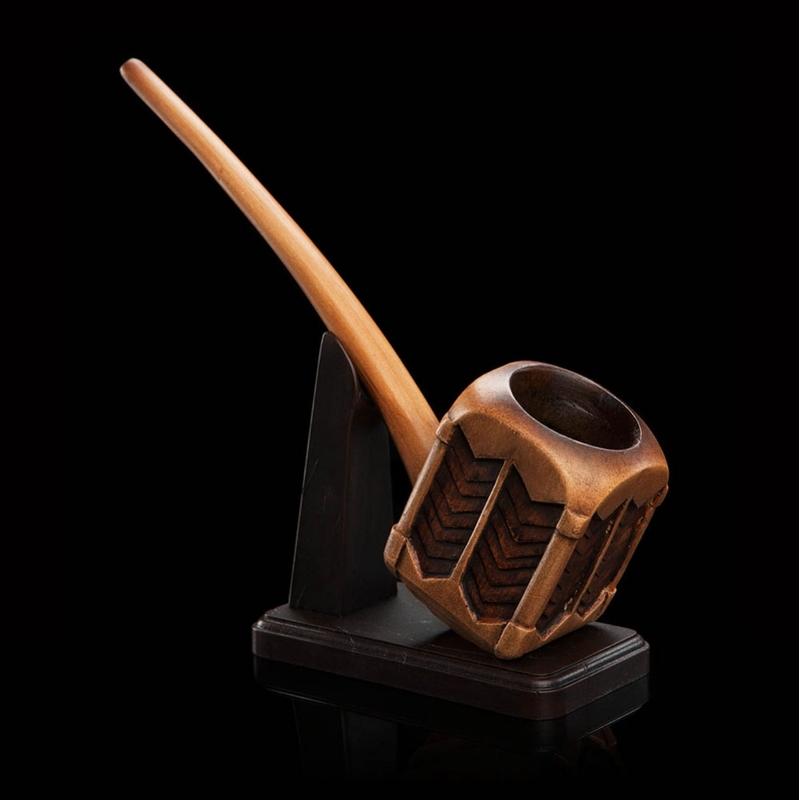 Much like Thorin Oakenshield himself, the pipe is rugged and practical, without fanciful trappings and decoration proclaiming its owner's royal heritage. 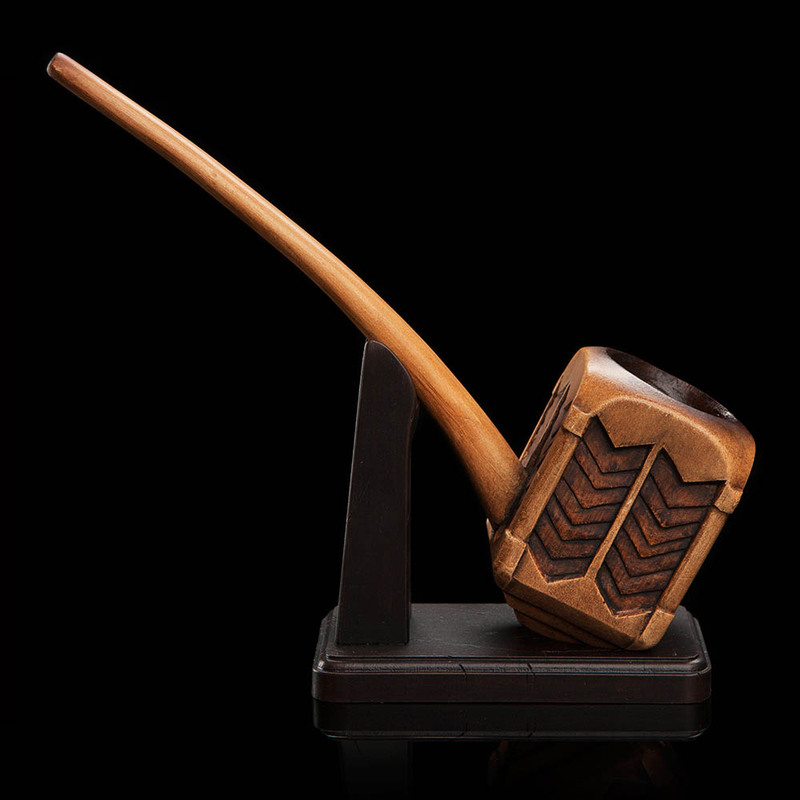 The Pipe of Thorin Oakenshield was created for The Hobbit by the artists at the 3Foot7 Art Department. This non-functional prop replica has been created from molds of the original prop used in the film, using the same high impact urethane material as the props on set and finished using the same techniques and materials to achieve the same well-loved look as it has in the film. Please note: images are of pre-production prototype. Each set is painted by hand and variations will occur. This is a non-functional prop replica and comes with a polystone display stand.